Technical details (M-J20AA-C3) M=Solid Brass Cage, Ball-Guided. J20AA=(VL0241-SKF)=(Segment Precision, Code 10)=Coating Which Consists Of Oxide Ceramic, It Is Applied By Plasma Spraying And Then Sealed With Synthetic Resin. Speciality Humid Environments. C3=Internal Clearance Larger Than Normal. 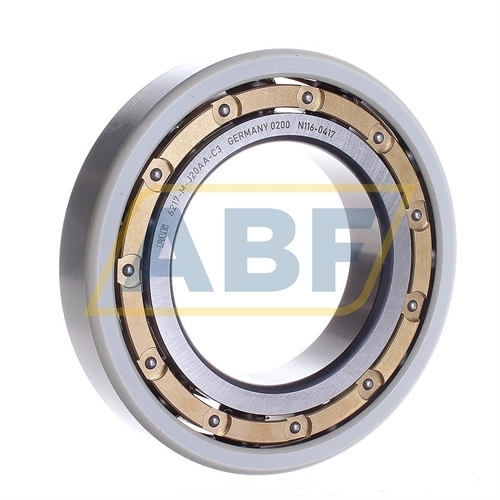 The 6217-M-J20AA-C3 FAG is an electrically insulated deep groove ball bearing. A special coating on the outer ring (J20AA) protects against bearing damage and eventual failure due to the passage of electric current. Electrically insulated bearings are marketed by FAG with the suffix J20. The J20AA indicates the addition of an aluminum oxide coating on the outer ring to withstand voltages up to 3.000 V DC. 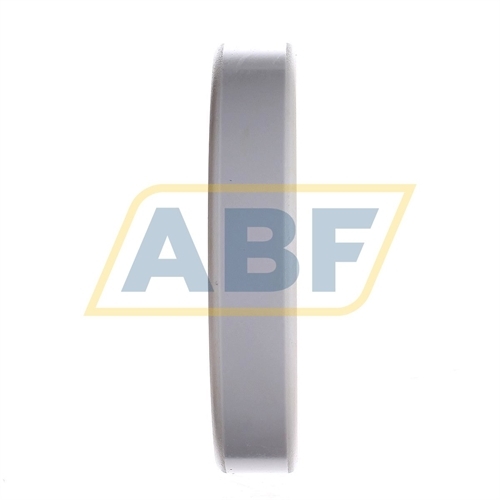 The 6217-M-J20AA-C3 FAG can be seen as an upgrade for the standard non-insulated 6217-M-C3 ball bearing with a protection against electric current passage. The specifications are therefore identical to the 6217-M-C3 deep groove ball bearing. 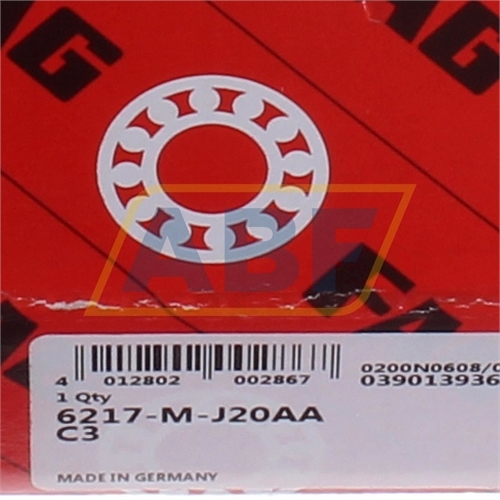 The 6217-M-J20AA-C3 FAG has an inner dimension or bore (d) of 85mm, an outer dimension (D) of 150mm and a width or thickness (B) of 28mm. The 6217-M-J20AA-C3 FAG is open on both sides (it has no seals), has a brass cage (M) and an internal play greater than Normal (C3). FAG current-insulating bearings with a basic coated outer ring, like the 6217-M-J20AA-C3 FAG can withstand voltages up to 3.000 volt. The weight of the 6217-M-J20AA-C3 FAG is 2,14 kg. M: Machined Brass Cage, Ball Centered. J20AA: External surfaces of the outer ring coated with aluminum oxide. The coating is sealed with a resin to protect against the conductive effects of water and moisture. This basic coating can withstand voltages up to 3.000 V DC. C3: Internal clearance greater than Normal. The extra internal clearance allows expansion due to high speeds or temperatures. Why use FAG current-insulating bearings? Choosing FAG current-insulating bearings for your application will prove to be most cost-effective, considering the repair work and cost of machine downtime and lost production, in case of bearing failure due to electric current passage. To prevent these extra cost it's recommended to opt for electrically insulated in the planning stage. As a result, you will benefit from reduced maintenance costs and higher machine availability. 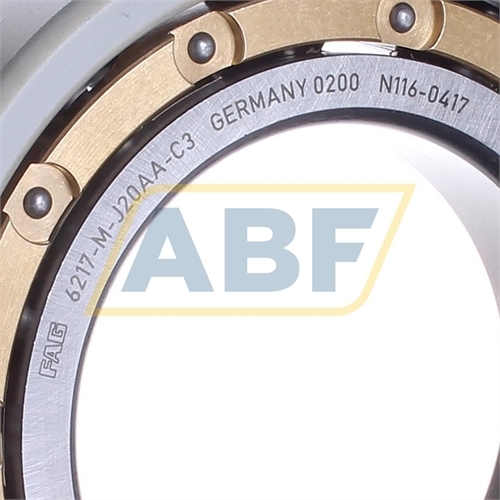 FAG current-insulating bearings like the 6217-M-J20AA-C3 FAG are available for this purpose. 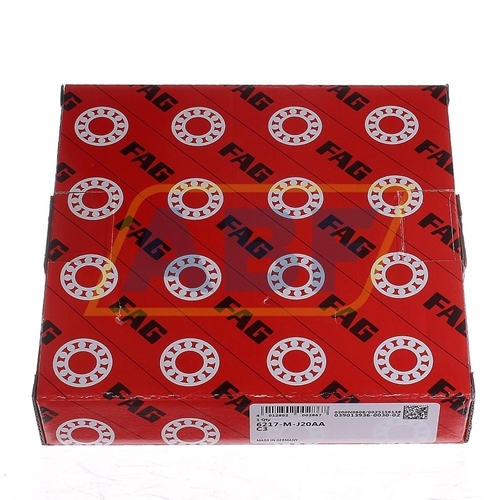 FAG is a brand of the Schaeffler Group Industrial originated in Germany. The Schaeffler Group produces two major bearing brands: FAG and INA. FAG is known for its strength in innovation, high-quality standards and wide portfolio of bearings and related products. If you choose to buy a product from FAG you are ensured of a top quality product.